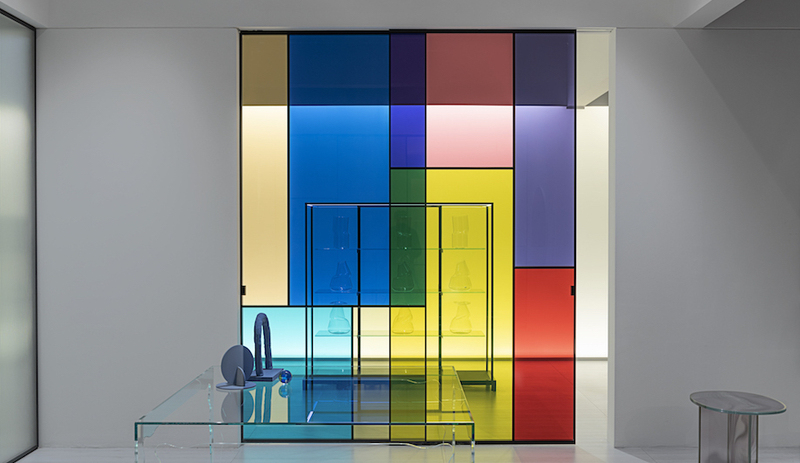 For the design industry, April’s Salone del Mobile is a stressful, albeit thrilling time. 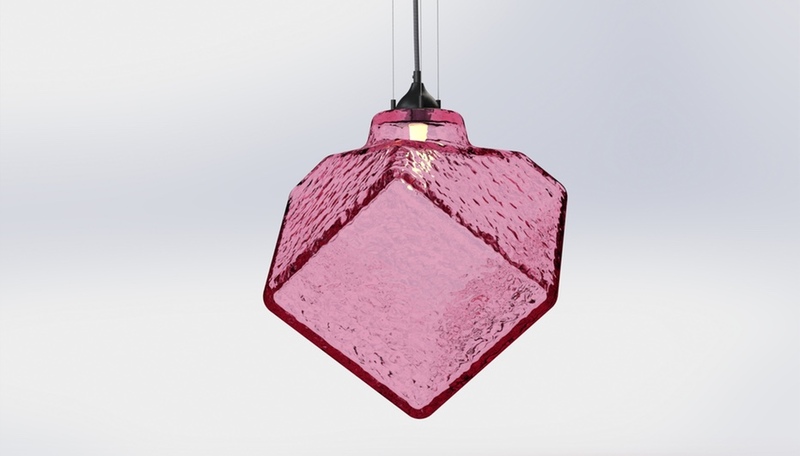 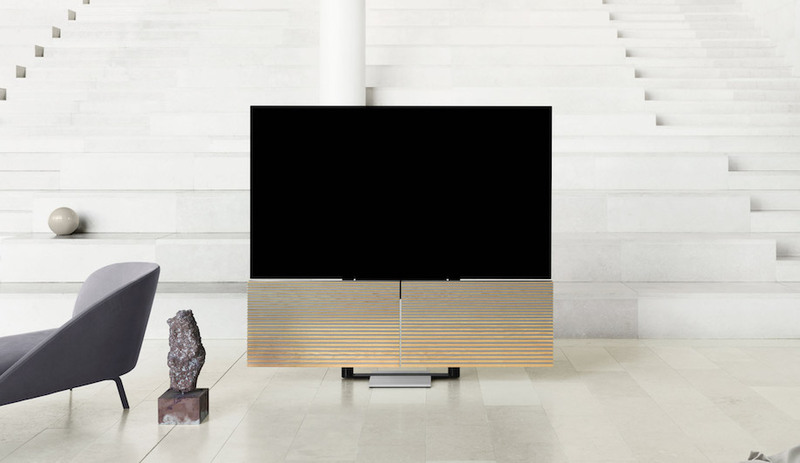 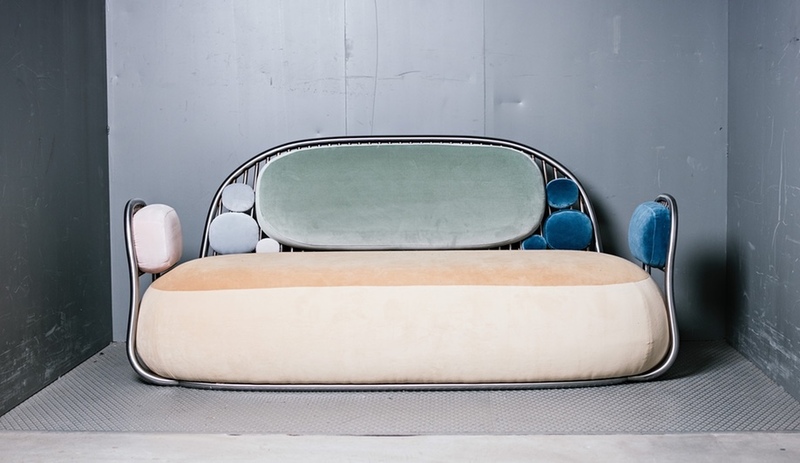 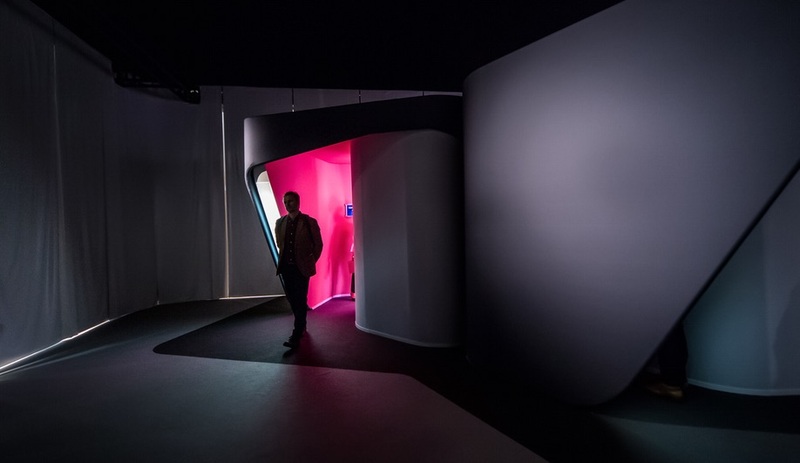 Whether the task at hand is to design a prototype, build a stand, launch an event, or just see as much as you possibly can during Milan’s action-packed design week, the event is a real pressure cooker. 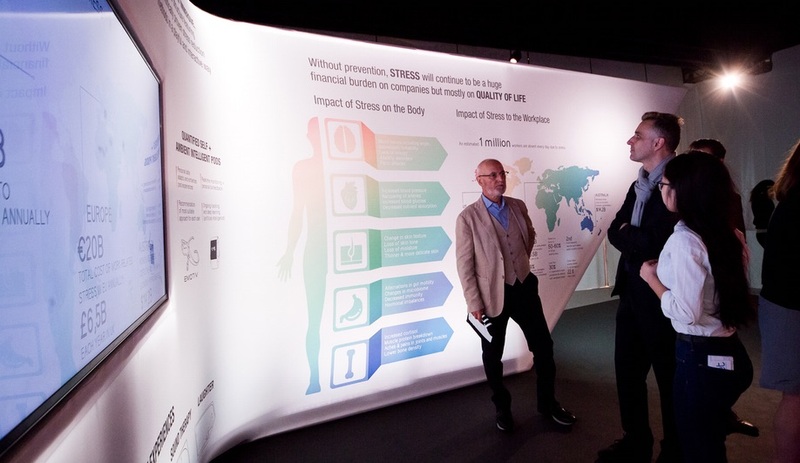 So it made a fitting venue for Ben van Berkel to launch his latest, a series of pods designed to relieve work-related stress. 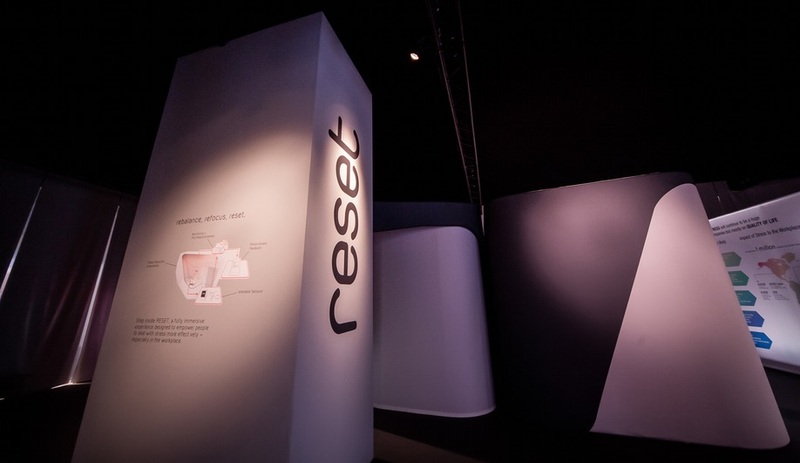 A collaboration between van Berkel’s UNStudio and social designers SCAPE, RESET (Responsive Emotional Transformation) Pods are the brainchild of a team that also includes Teresa de Sanctis, a neuroscientist/experience designer; Jurjen Söhnem, an ambient intelligence technology specialist; and Diederik Veelo, a technologist working in interactive design. 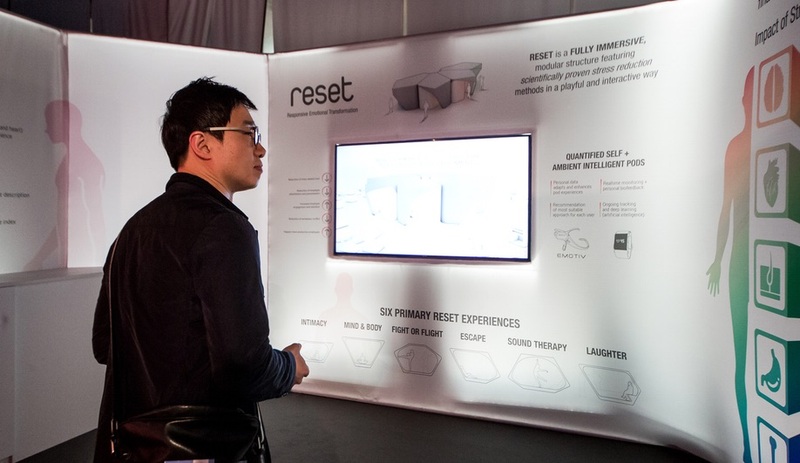 The group’s modular structure, installed as part of the exhibition Work3.0 – A Joyful Sense at Work, offers a series of immersive experiences (the RESET concept includes six experience models, two of these – sound and intimacy – were prototyped for the show) that are scientifically proven to help workers effectively manage stress. 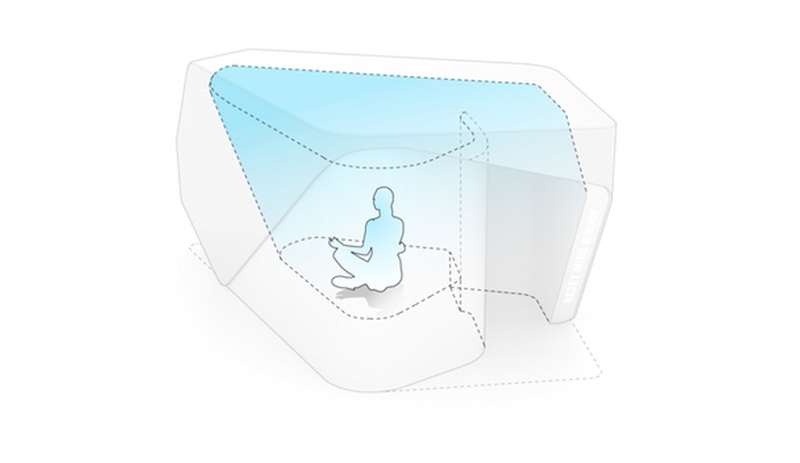 A futuristic break room, these spaces offer an ambient corner wholly dedicated to rebalancing and refocusing. 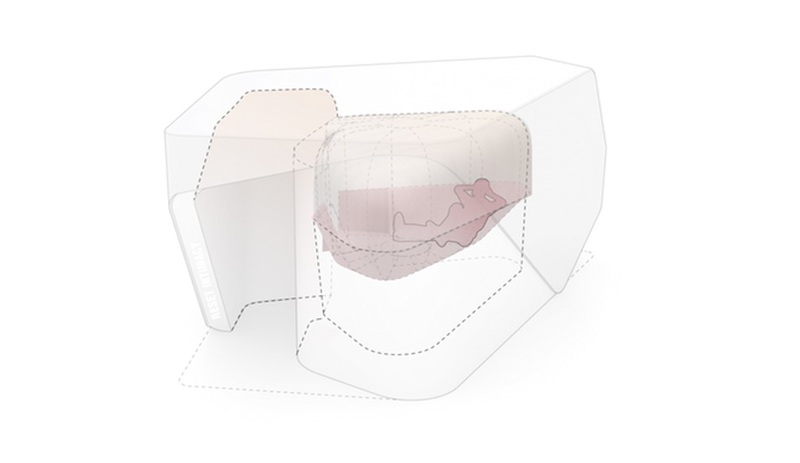 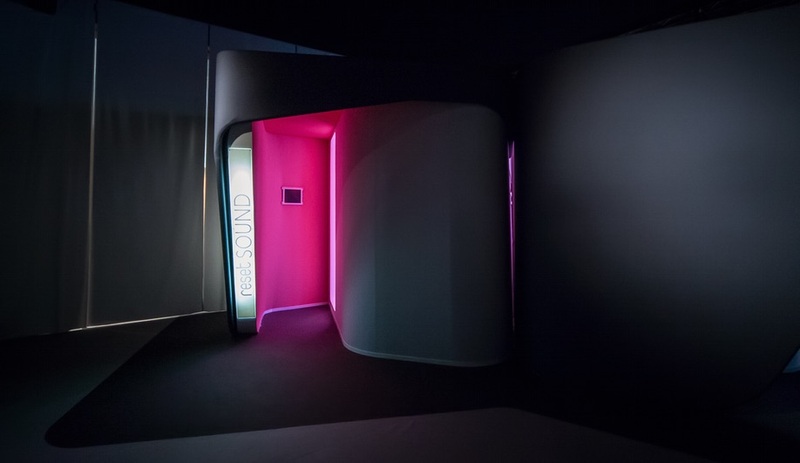 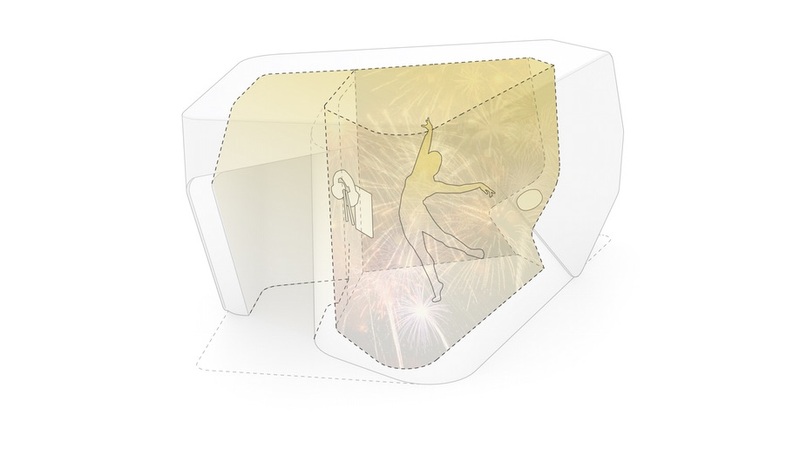 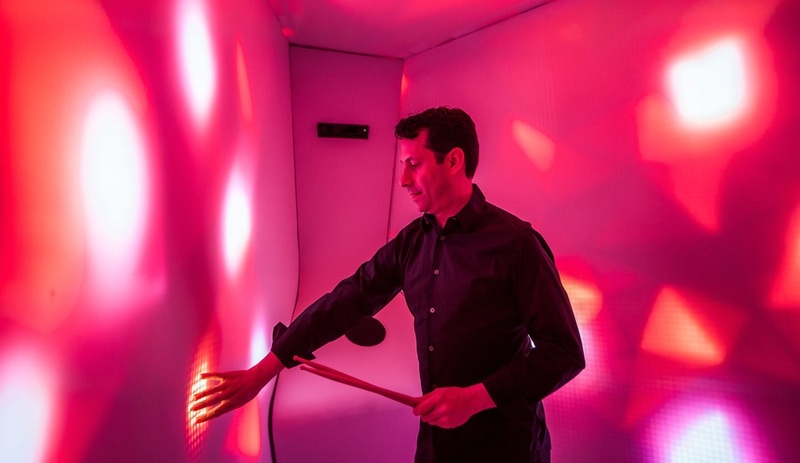 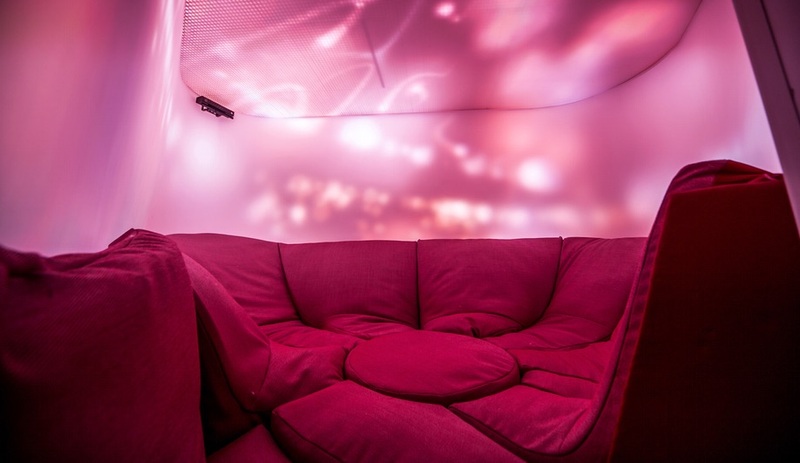 Inside the glowing walls of the pods, wearable technology fitted with biosensors is used to monitor the user’s response (in both the heart and brain) to different relaxation methods, and thus find the most effective option for the individual. 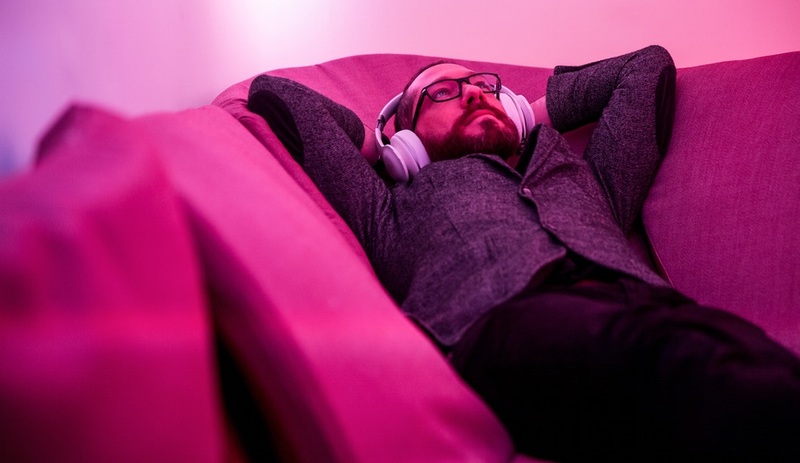 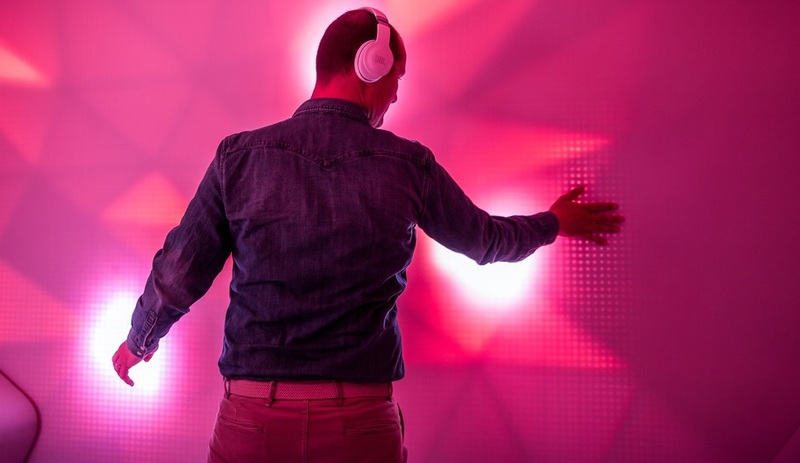 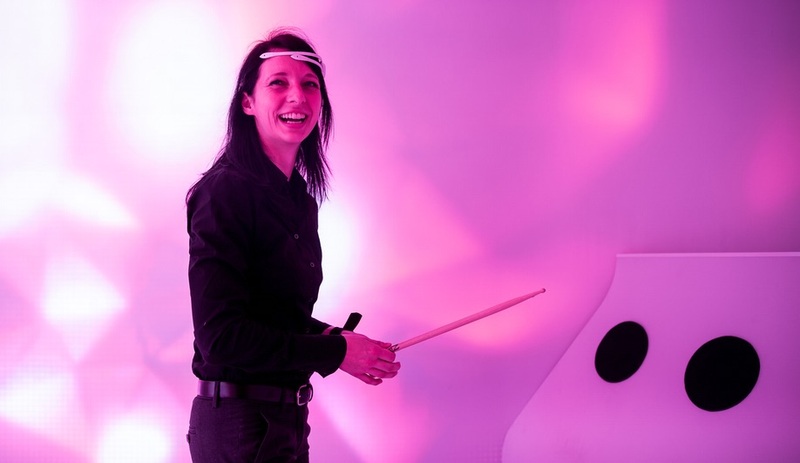 For instance, two kinds of musical interludes were explored in the Milan installation: one passive, where visitors kicked back with headphones in a comfy cocoon-like lounge; the other active, where they pounded electronic drums. 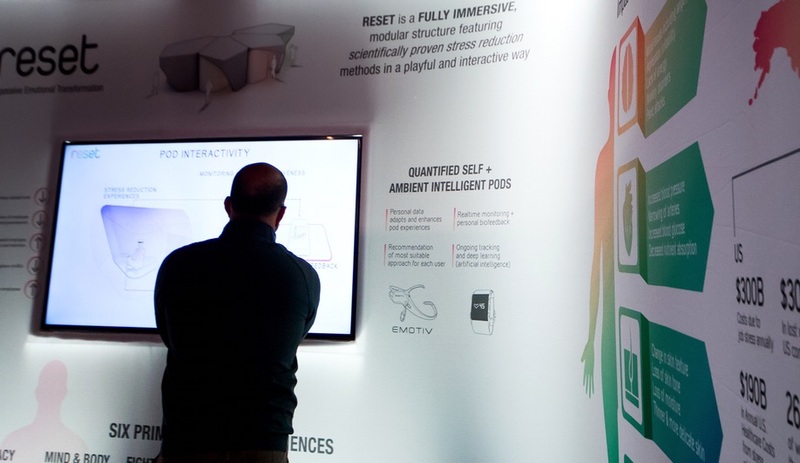 The wearable sensors not only collect biofeedback to help the user find the best way to release stress, but pair with biosensors within the physical environment to track the effectiveness of the space and its responses. 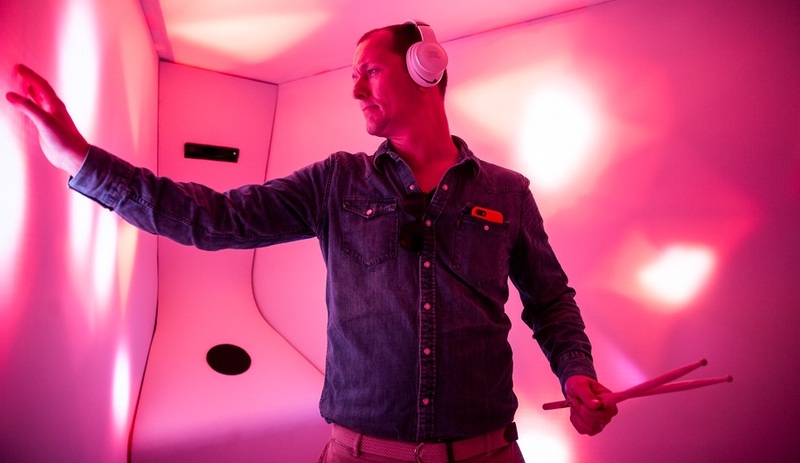 The collected data will help future pods refine the experiential offerings, and teach users how to better manage their stress, both inside RESET, and out in the world. 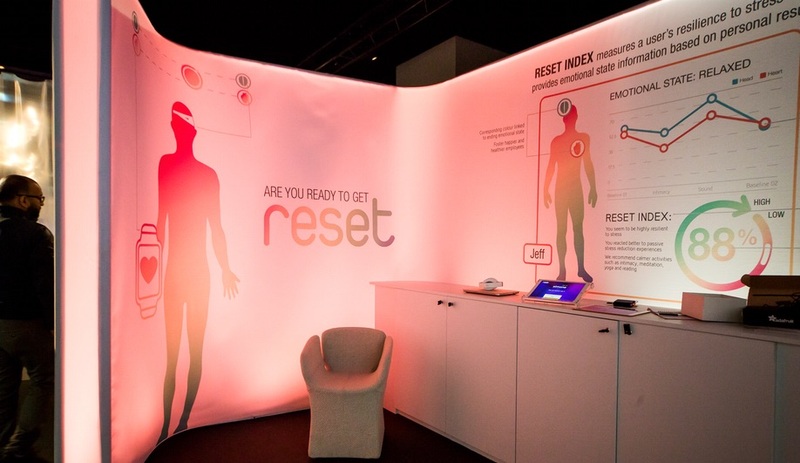 For more on the RESET Pods, the effects of stress, and the benefits of rest, relaxation and recharging, see the feature Working Hard Is… Hardly Working, in Azure’s June 2017 issue, on newsstands now.